Ships tomorrow if you order in the next 18 hours 29 minutes. 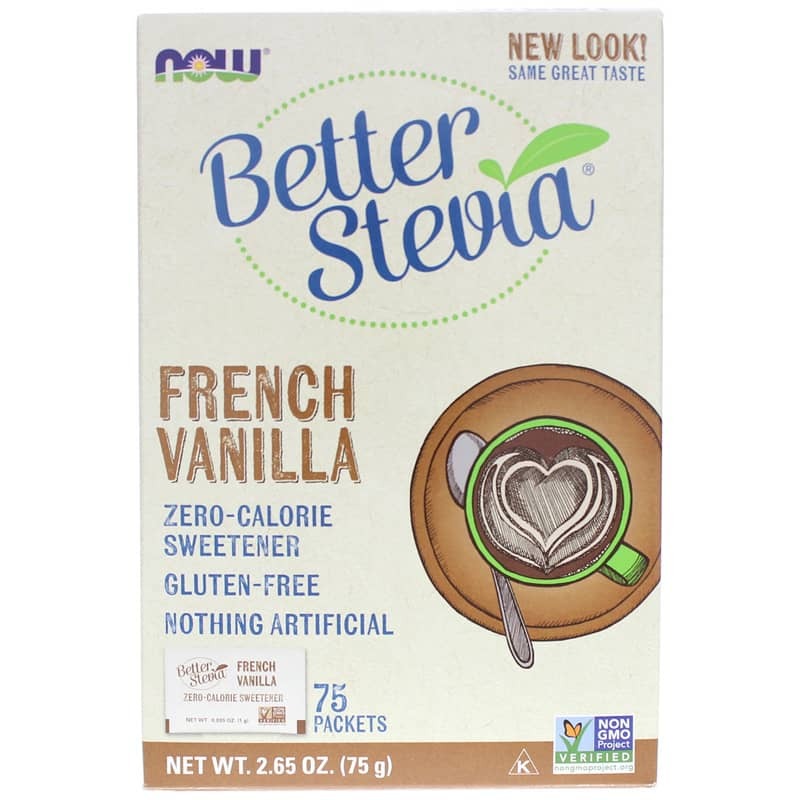 NOW BetterStevia is a zero-calorie, low glycemic, 100% all natural sweetener that makes a perfectly healthy substitute for table sugar and artificial sweeteners. 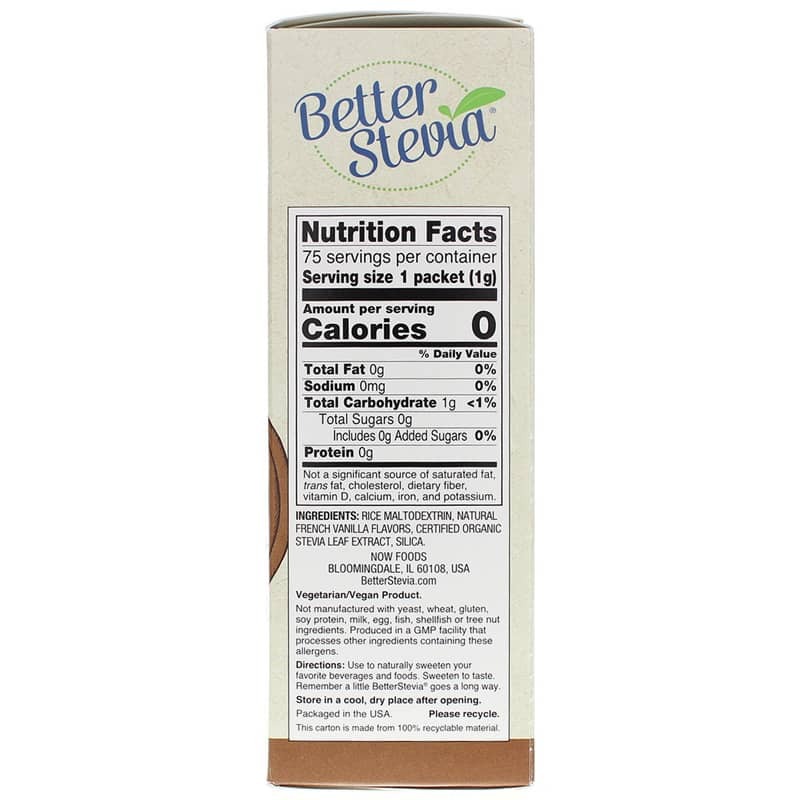 * It contains certified organic stevia extract. 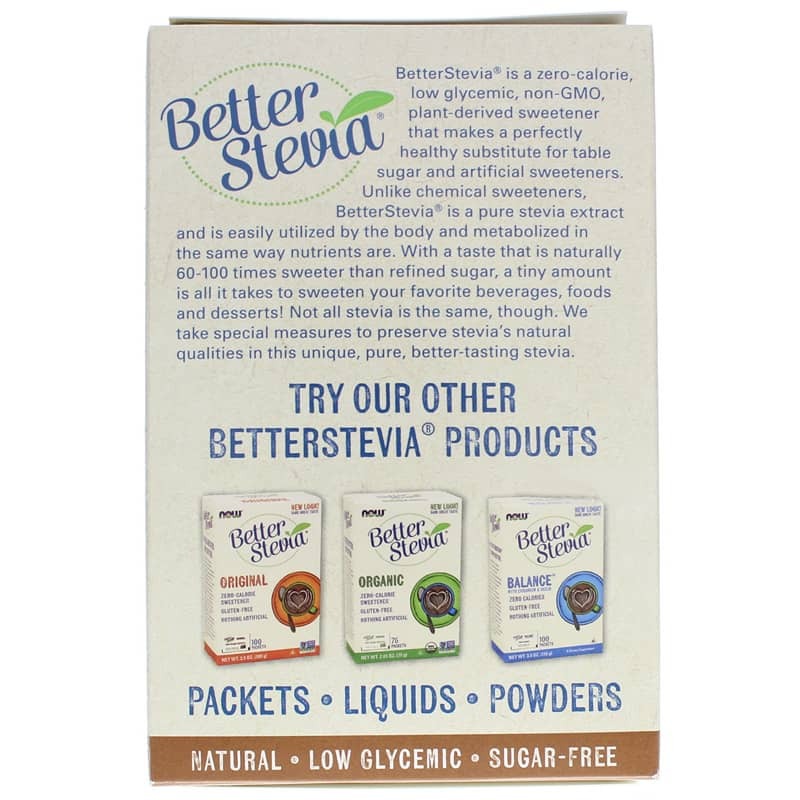 Unlike chemical sweeteners, NOW BetterStevia contains pure Stevia extract; easily-utilized by the body and metabolized in the same way nutrients are. With a taste that is naturally 60-100 times sweeter than refined sugar, a tiny amount is all it takes to sweeten your favorite beverages, foods and desserts! Although there are several different species of Stevia, the most potent and beneficial seems to be Stevia rebaudiana, and this species is used in most dietary supplements on the market today. Ingredients: Rice Maltodextrin, Certified Organic Stevia Leaf Extract and Silica. Not manufactured with: yeast, wheat, gluten, soy protein, milk, egg, fish, shellfish or tree nut ingredients. Produced in a GMP facility that processes other ingredients containing these allergens. Non-GMO. Sugar-free. Vegetarian/Vegan. Use to naturally sweeten your favorite beverages and food. Sweeten to taste. 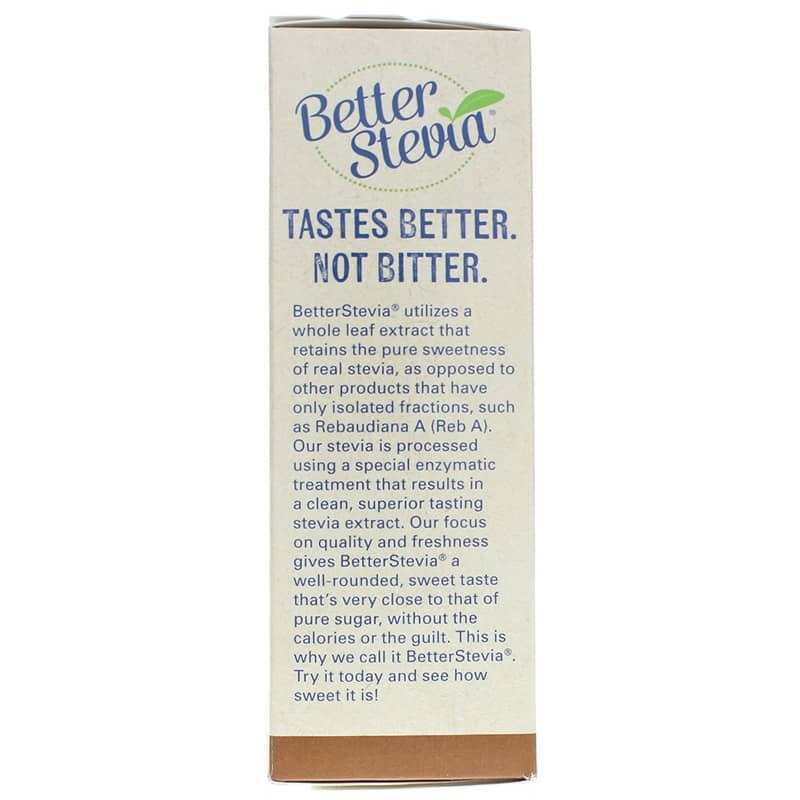 Remember a little BetterStevia goes a long way. I AM USE TO THE TASTE.